Combine dry ingredients. In separate bowl, whisk together oil, sweet potato, milk, and vanilla until smooth. 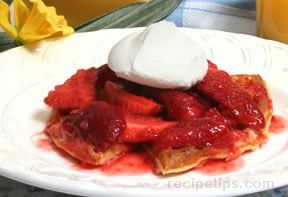 Mix liquid into flour mixture until just combined. 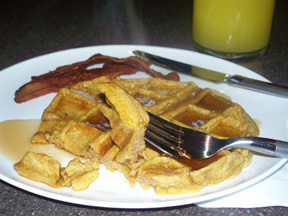 Cook on waffle iron as usual. Sweet potatoes are very nutritious, and high in fiber. 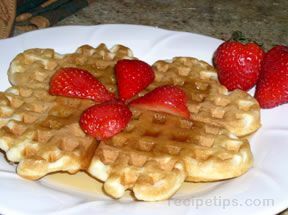 These waffles are delicious-you will never miss the gluten!